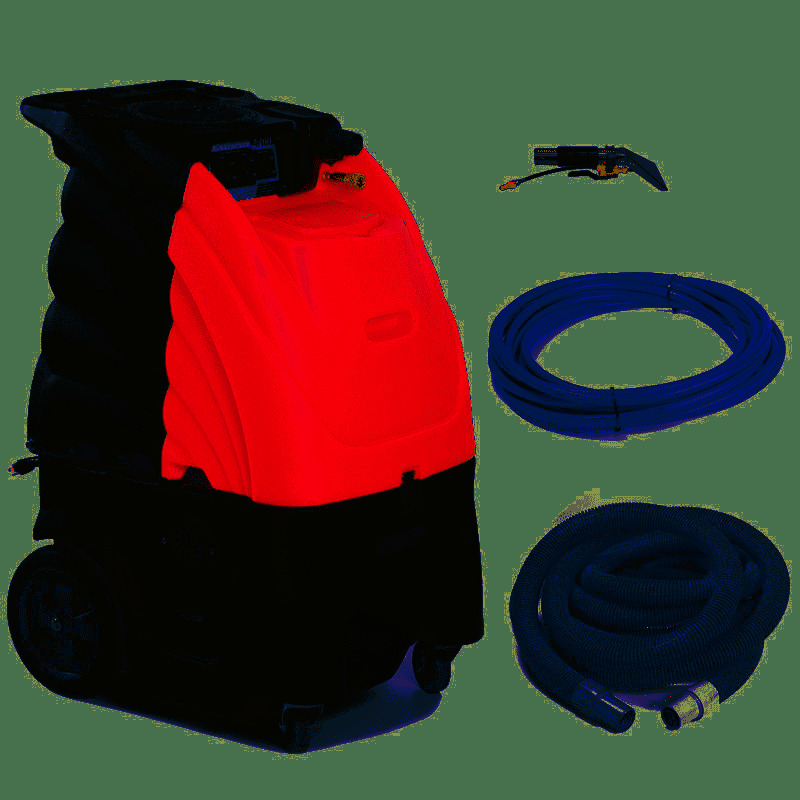 Ideal for any detailing job and great for rental units. The heated unit works off only one power cord, making it easier for use in locations with limited power source options. Fastest soil pick-up with high CFM airflow. A durable pump delivers heated extracting solution into the carpet. Heats extracting solution to 200 degrees Fahrenheit with a 1200 Watt in-line heater! The powerful vacuum motors recover the spent solutions and soil. Includes convenient waist-high controls for easy operation with no bending or lifting. Non-skid, non-marking 10" wheels for easy stair climbing. Warranty: Lifetime warranty on body, 2-years on motor and pump, 1-year on all electrical components, 90-days on tools and accessories.